Big Data and high performance computing (HPC) are on a collision course – from machine learning to business intelligence, the combined power of clustered servers, advanced networking and massive datasets are merging, and a new Big Data reality is on the rise. To leverage all this landscape has to offer, correctly selecting, implementing and managing new technologies is critical, and we’re here to point you in the right direction. 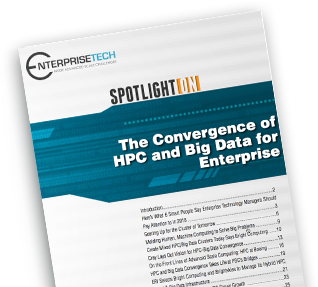 Are you maximizing your competitive advantage through Big Data and HPC? To access the white paper please fill out the form to the right.